We are your full service photography solution, specializing in weddings, formal events, and fine art portraiture. Our knowledgeable staff is highly proficient in both still and moving imagery. We're photographers first and foremost, but we're also artists harnessing various creative backgrounds ranging from architecture, and music to theater arts. Our team's creative diversity yields a one of a kind product that will always fit your needs. Our clients love our ongoing positive, youthful, and professional approach. With your support and praise, we have grown into one of the industry's premiere studios in New York City. 1. Passion. No matter how big or small, we like to treat your job as if it is for the cover of Time Magazine. As many of our clients may confess, we typically go above and beyond the call of duty. 2. Accountability. We have the proper gear for a wide range of jobs, backup gear and backup for the backup. We keep you informed in every step of the photography process strive to deliver images on-time if not ahead of schedule. 3. Attention to detail. We love to make images for YOU first and foremost, so let's discuss your specific goals. 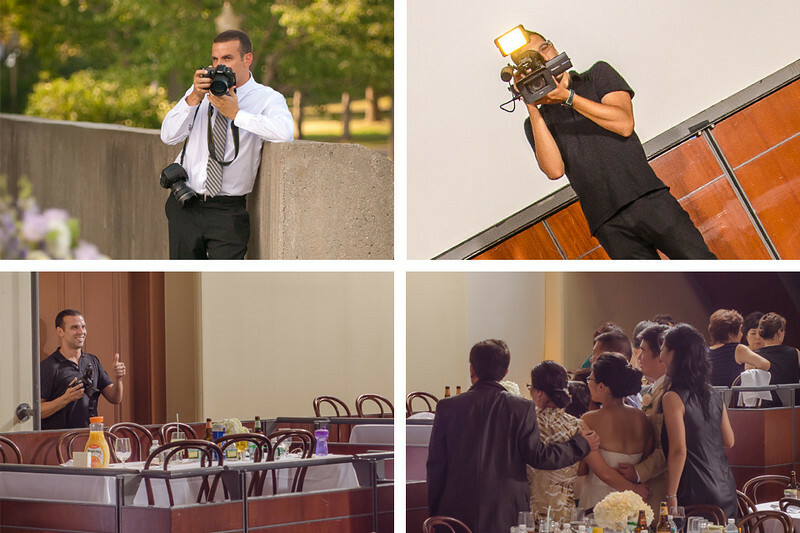 We offer still photography with multiple shooters as well as multi-camera videography for all your events.